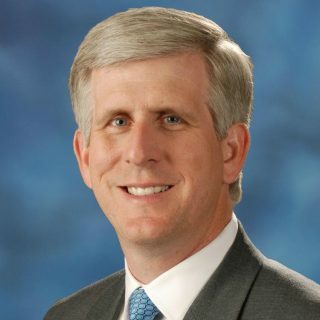 Less than three months after leaving Inova Health System’s Center for Personalized Health, Todd Stottlemyer has nabbed a new gig as CEO of CNSI, a Rockville, Maryland-based health IT solutions firm, according to Washington Business Journal. Stottlemyer stepped down from Inova in September after three years as CEO, where he was tasked with developing and growing Inova Schar Cancer Institute and the Inova Translational Medicine Institute, whose precision medicine and data-centric approach help patients live healthier lives. Before joining the Inova Health System, Stottlemyer served as CEO of Acentia for nearly 4.5 years. He led the 2015 sale of the company to MAXIMUS, a $300 million all-cash transaction. Prior to that, he served as president, CEO and a member of the board of the National Federation of Independent Business, which represents nearly 350,000 small businesses nationwide. Prior to NFIB, Stottlemyer was a founder, CEO and a board member of Apogen Technologies, an IT company backed by Arlington Capital Partners. Under his leadership, the company’s yearly revenue grew to over $200 million. In September 2005, Stottlemyer led the sale of Apogen to QinetiQ Group PLC, a publicly traded British technology company. Stottlemyer also served as president of McGuireWoods Consulting and was a managing director of McGuireWoods Capital Group, where he advised IT and other companies on growth strategies, acquisitions and management buyouts, among other issues. Before McGuireWoods Consulting, Stottlemyer served as executive vice president and chief financial and administrative officer of BTG Inc., a publicly traded IT company with annual revenue of roughly $300 million. Stottlemyer has a law degree from Georgetown University and a bachelor’s degree in government from the College of William and Mary.